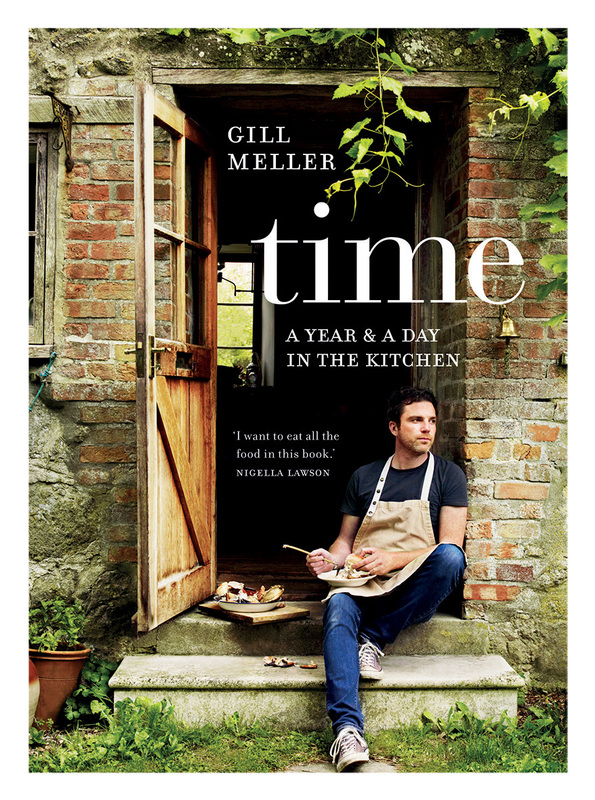 Meller, who has worked closely with the River Cottage for more than 12 years, shares 120 recipes for every season in his new cookbook time, the follow-up to his previous publication Gather. Another of my assemblies, this tart is open to interpretation, alteration and variation. I’ve simply taken everything that is green and good from the garden and piled it onto puff pastry, which I’d suggest is a most suitable vessel. Without the pastry this would become a light and delicate salad, and one with absolute merit. On toast, you would have a colourful bruschetta – or in a broth of light chicken stock, a beautiful garden soup. The quantities here are a guide for you. If broad beans aren’t your favourite, you could use asparagus. Peppery rocket would make a great alternative to the nasturtiums I’m using; and when it comes to herbs, it really is your call. Heat the oven to 180C. Line a baking tray large enough to hold your puff pastry sheet with baking parchment. Place the pastry on top and gently score a 2cm margin all the way around the edge of the pastry. Place the tray in the oven and bake the pastry for 18–25 minutes, or until puffed up and golden. Remove from the oven and carefully press down the pastry within the scored margin. It will break and crack a bit but this is what you want. Heat the grill to hot. Scatter the courgettes over a large baking tray. Season them well with salt and pepper, scatter over the lemon zest and trickle over half the olive oil. Turn the courgette slices to coat, then arrange them in a single layer over the tray. Place the courgettes under the grill for about 6–8 minutes, turning once, until golden and blistered on both sides. Remove and allow to cool a little. Bring a small pan of water to the boil and cook the broad beans and peas for 2–3 minutes, until tender. Drain and allow to cool. Pop any larger beans out of their skins, as they can be a little tough. Season the beans and peas with a little salt and pepper, a squeeze of lemon and half the remaining olive oil. To assemble, scatter the courgettes over the base of the pastry case. Crumble over half the cheese randomly, then scatter over the peas, beans and spring onions. Add the remaining cheese, then strew over the herb flowers and leaves. Give everything a trickle with the remaining olive oil and finish with a final spritz of lemon juice before serving. This is an edited extract from time, by Gill Meller, published by Quadrille Books, RRP $39.99, available in stores nationally.